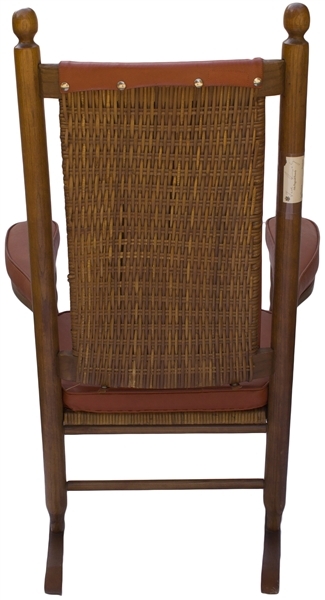 One of the few rocking chairs owned and used by John F. Kennedy as President, who famously relied on his rocking chairs to relieve back pain resulting from his WWII injuries. 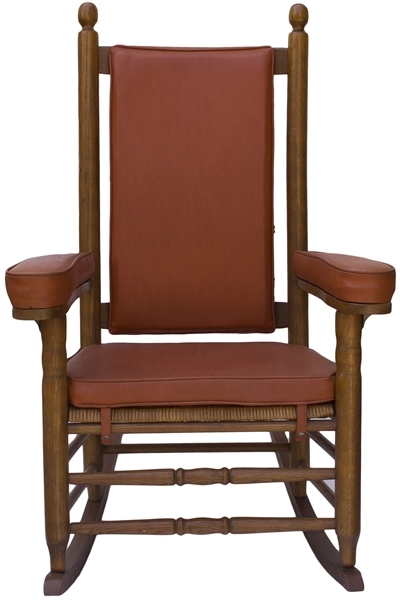 Kennedy's personal physician, Dr. Janet Travell, first treated JFK as a Senator in the 1950s, where she prescribed the use of rocking chairs custom-made to his specifications. This stylish mid-century rocking chair is upholstered in orange-brown leather against a rattan backing and wood frame, with a leather cushion that snaps into place. Attached with upholstery nails to the underside of one arm is the business card of Larry Arata, who Jackie Kennedy recruited from Hyannis, Massachusetts to work as the White House upholsterer. Arata's business card shows a McLean, Virginia address and "White House Upholsterer - 1961 to Present" at bottom, though with some paper loss to the card. 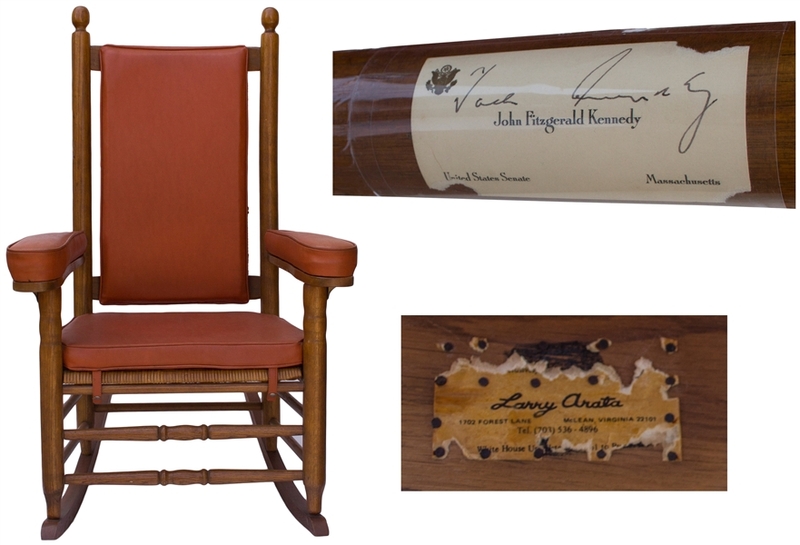 Also present on the arm of the chair is John F. Kennedy's Senate business card, signed "Jack Kennedy", indicating this chair was likely taken from Kennedy's Senate office and reupholstered for Kennedy to use as President. According to what Jackie Kennedy has said about the chair, it was used by JFK at the Hyannis Port compound. 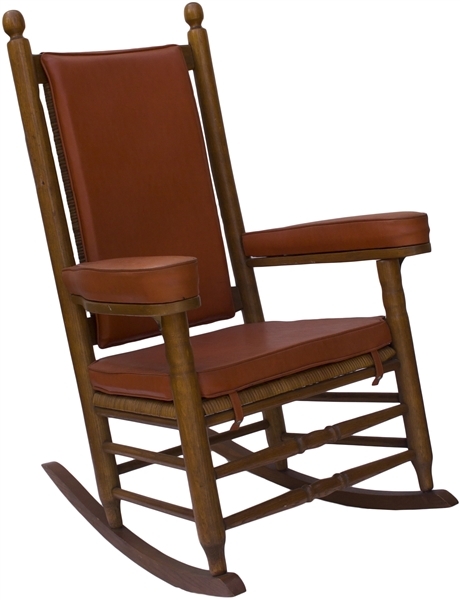 Rocking chair originates from Jackie Kennedy, who gifted it to New York City Mayor Ed Koch in December 1984 on the occasion of Koch's 60th birthday. The Mayor, in turn, gifted it to his executive assistant Rose Mintzer, who passed it down to her son, whose notarized LOA accompanies the chair. 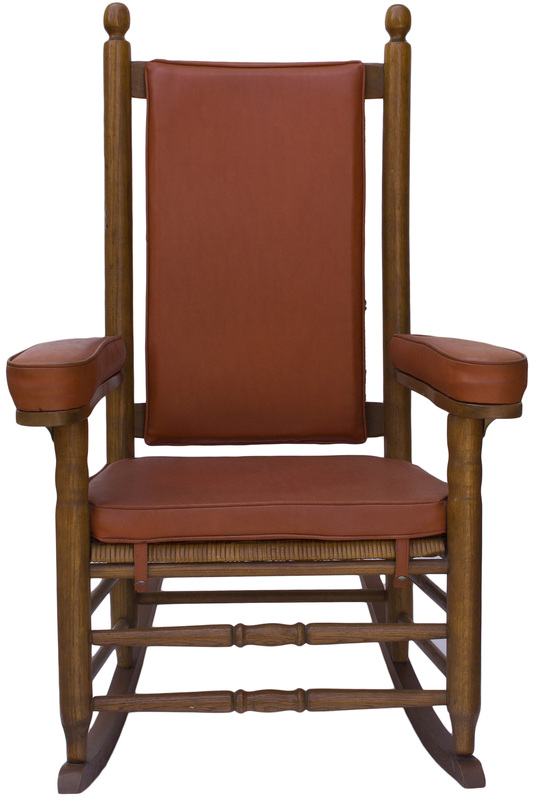 Chair measures 44" tall, 28" wide and 33" deep. Chair displays beautifully, with light wear from use. One of the more personal belongings of John F. Kennedy.